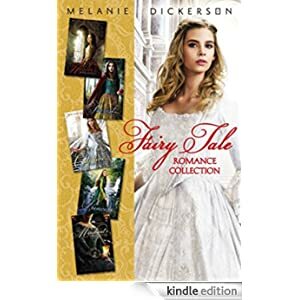 Romance, intrigue, and danger abound in this five-book bind-up of Melanie Dickerson’s bestselling fairy-tale retellings. Buy this set for teens for only $1.99 today. Faith-based publisher. The Healer’s Apprentice: Rose has been appointed as a healer’s apprentice at Hagenheim Castle, and when Lord Hamlin—the future duke—is injured, it is Rose who tends to him. The Merchant’s Daughter: Annabel is trapped in indentured servitude to Lord Ranulf, a recluse who is rumored to be both terrifying and beastly. She soon finds he is actually very kind and caring, and the two strike up a friendship that could soon become more. The Fairest Beauty: Sophie desperately wants to get away from her stepmother’s jealousy, and receives her chance when Gabe arrives from Hagenheim Castle to rescue her, claiming she is betrothed to his older brother. The Captive Maiden: When Gisela learns the duke’s son, Valten–the boy she has daydreamed about for years–is throwing a ball in hopes of finding a wife, she vows to find a way to attend, even if it’s only for a taste of a life she’ll never have. The Princess Spy: Margaretha has always been a romantic, and hopes her newest suitor, Lord Claybrook, is destined to be her one true love.